Visit the Chinese Lantern Festival with us! Experience the 15th Chinese Lantern Festival this weekend and especially this Friday, when you can join INTERNeX to explore this beautiful festival. When the sun goes down more than 800 lanterns will light up. Stunning lanterns in all their glory will give a great effect, especially when it gets dark. This festival is all about Chinese lantern and the Chinese culture. Their delicacies and performances. You can try typical Chinese food, buy Chinese souvenirs and watch international performances on Albert Park Main Stage. Almost every time there is an interesting and astonishing act going on. The Lantern Festival is separated in two different parts. The other location where you can enjoy China is at the Queens wharf. Catch an outdoor movie with some friends where you can relax and enjoy the contemporary Chinese culture on the waterfront. We will experience the festival as well this Friday, the 14th of Febuary, at the Albert Park. We will meet at 8.30pm at the entrance of Kitchener Street, at the big stones and going to explore the Lantern Festival with a group. See map at the Facebook event for the exact meeting point and if you really can’t find you can contact us on 021 08395428. This entry was posted in Festival, What to do on the weekend and tagged china, experience, food, fun, INTERNeX, lanterns, performances, weekend on February 13, 2014 by INTERNeX New Zealand. This weekend the 14th annual lantern festival will be held in Albert Park in Auckland City, celebrating the new year of the snake. There will be dozens of Asian food stalls, space for picnics on the grass and, of course, hundreds of beautiful Chinese lanterns. Entertainment from the Omnipotent Youth Society rock band from Beijing, acrobats from Shanghai and a classical music group from Chengdu. This entry was posted in Festival, INTERNeX, new zealand, What to do on the weekend and tagged auckland, chinese new year, food, INTERNeX, Lantern, Lights, new zealand on February 18, 2013 by INTERNeX New Zealand. If you like Pancakes maybe I have here your Picture of the week. After the last big partynight in Auckland I really needed a big breakfast and thought about the right one. I wanted to have a typical Kiwibreakfast and I had to decide between Pancakes and Ham & Eggs. In the end the apetite for something sweet was stronger. So I started my Pancake adventure. Even if I am not a good chef it wasn’t that hard to make some good pancakes. If you wanna try it one your own just mix 1 cup flour, 2 tablespoons sugar, 2 teasponns baking powder and half a teaspoon salt. Then stir in one large egg, 2 tablespoons oil and add some milk until the dough has a pourable consistence. See the result! Are you hungry now? But if you aren’t keen to cook at all I found an incredible cafe for Pancake lovers in North Shore. At the Dutch Delight you can have Pancakes with almost everything. What about an Indonesian Pancake, Seafood Pancake or one with warm cherris and ice cream. Sounds good, ey? But what about your experience with New Zealand food? Do you have a tip what to eat or where to go? Please tell us – cause we love food…;-) And don’t forget to send us your Picture of the week and the little story with it…. 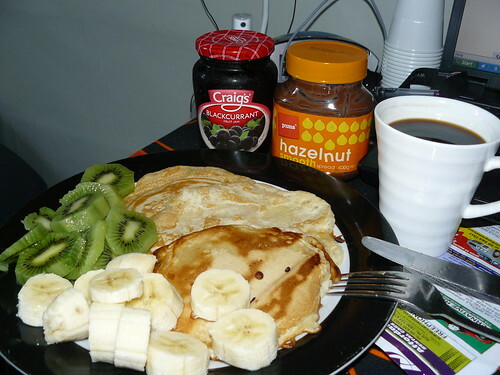 This entry was posted in INTERNeX, new zealand, Picture of the Week and tagged auckland, breakfast, cooking, devonport, dutch delight, food, hungry, INTERNeX, new zealand, pancakes, picture of the week on June 30, 2011 by ixcaroline. Get ready for a big day out with your mates enjoying great food, good music and plenty of beer… lets have some fun at the New Zealand Beer Festival!The annual event is celebrating its 5th birthday, and is brining a fun-filled day of entertainment. With over 70 beers from over 24 breweries on offer, it’s your chance to taste a few ales or larger which you might not have attempted before.There’s also a fantastic range of food to accompany your drink – from traditional European fare, to Asian fusion, Middle Eastern delights, and classic kiwi tucker.The music line up is pretty sweet, with sets from Tahuna Breaks, The Phil Edwards Band, Sentimental Sound System, Sweet Mix Kids, Sam Hill, Wayne Anderson, Franko and more to be announced. This entry was posted in INTERNeX, Internship, new zealand and tagged beer, cheaper, ellerslie racecourse, fantastic, festival, food, fun, mates, music, sweet on March 3, 2011 by ixpaul. This is a fantastic free event every night this weekend to celebrate The Chinese New Year of the Rabbit. 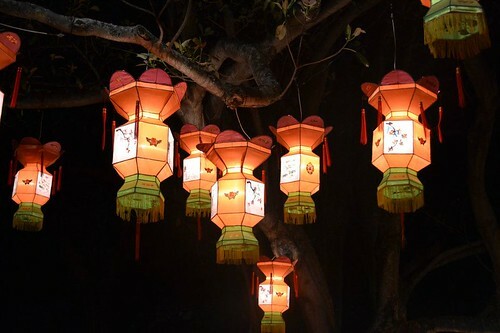 Enjoy hundreds of beautiful lanterns especially imported from China, a great variety of food stalls and non-stop entertainment all in the heart of Auckland in Albert Park. Get some friends together or just wander around alone as there is a lot to see and enjoy all weekend. This festival perfectly suits you when you are person who enjoys to be entertained by fantastic artist while tasting different wines from all over New Zealand. Enjoy spending a relaxed day (or two) in the beautiful Devonport. More than 20 of the best wineries of New Zealand will present their wines and in addition to that you will find a great variety of excellent cuisine from different restaurant around the city. Top NZ music and comedian artists will entertain you. Don’t hesitate! !Go out and take the opportunity to enjoy a great weekend! 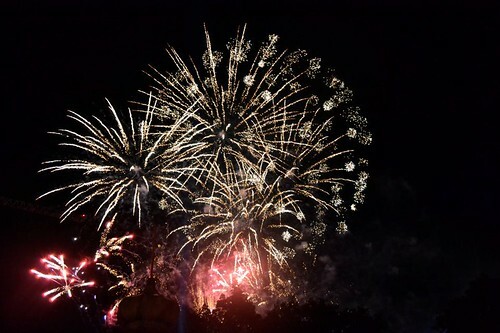 This entry was posted in INTERNeX, Internship, new zealand and tagged auckland, celebrate, chinese new year, enjoy, entertainment, fantastic, february, festival, food, music, night, Opportunity, variety, weekend, wine on February 16, 2011 by ixpaul.